I’ve always been more of a grilled chicken kinda girl when it comes to Mexican food. I’ve just never had luck with grilled cuts of meat like skirt steak. No matter what I did or how carefully I cooked it the meat always came out tough and chewy… Never like you get in the restaurants. Then recently a friend asked me if I had a good recipe for Carne Asada. I replied that I honestly had never made Carne Asada but I would put it on my to do list as I was desperate for a really good Mexican-Style Grilled Beef. The next day I went home and started researching what exactly makes for a good traditional Carne Asada and I learned a couple of things. Carne Asada simply translates to Grilled Beef. 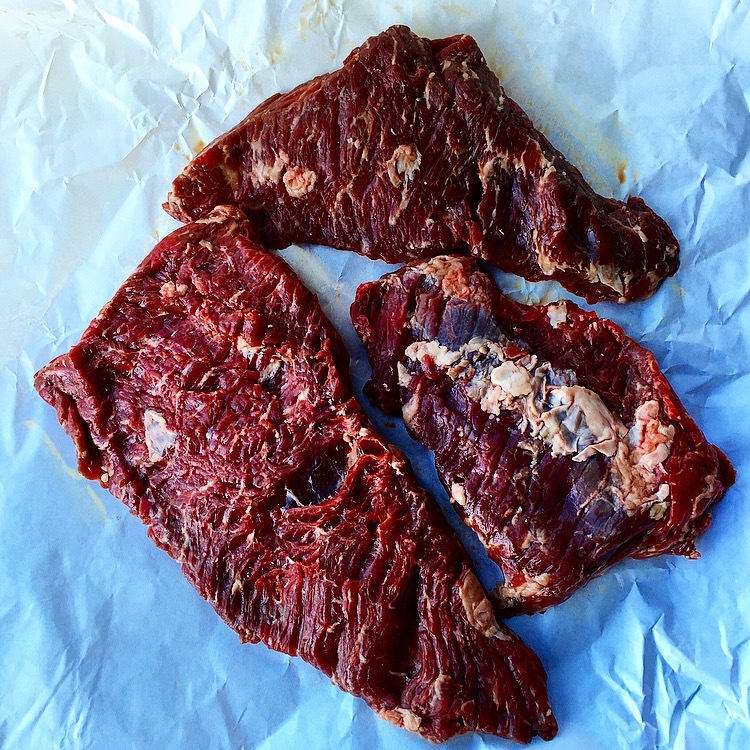 There are 3 different cuts of beef that could be used Skirt Steak, Flank Steak, and Flap Steak. After talking to the butcher he highly recommended the flap steak (which ironically was the cheapest). This recipe for Carne Asada was by FAR the most tender, juicy, flavorful, grilled Beef I have ever made. With every bit the meat just melted in your mouth and was perfect with the tangy and spicy Houston Style Green Salsa. 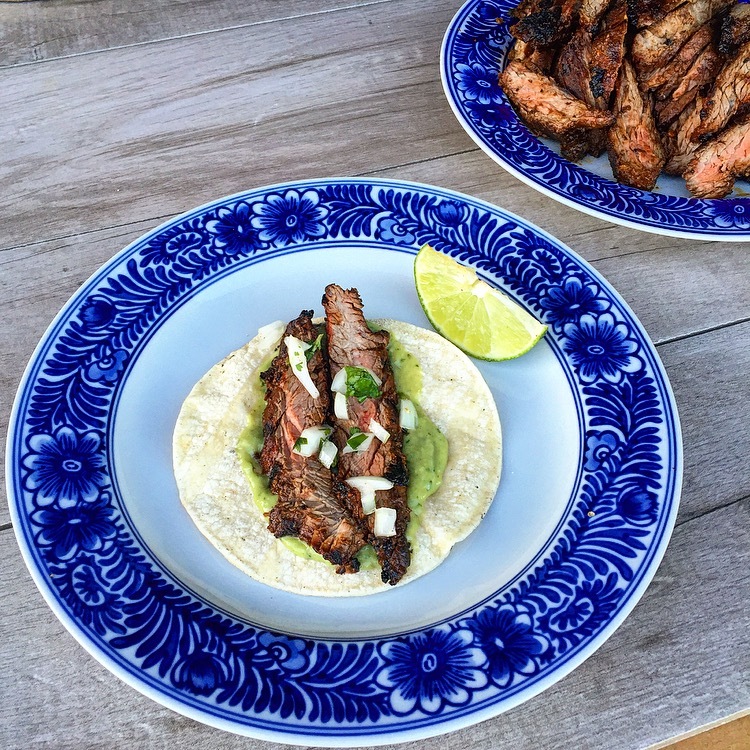 This Carne Asada recipe will be my one and ONLY Mexican Style “Grilled Beef” recipe from now on. In a small dry skillet toast the dried ancho chiles for about 1 minutes until they smell fragrant and begin to puff up slightly. All the chiles to cool slightly then remove the stems and seeds. 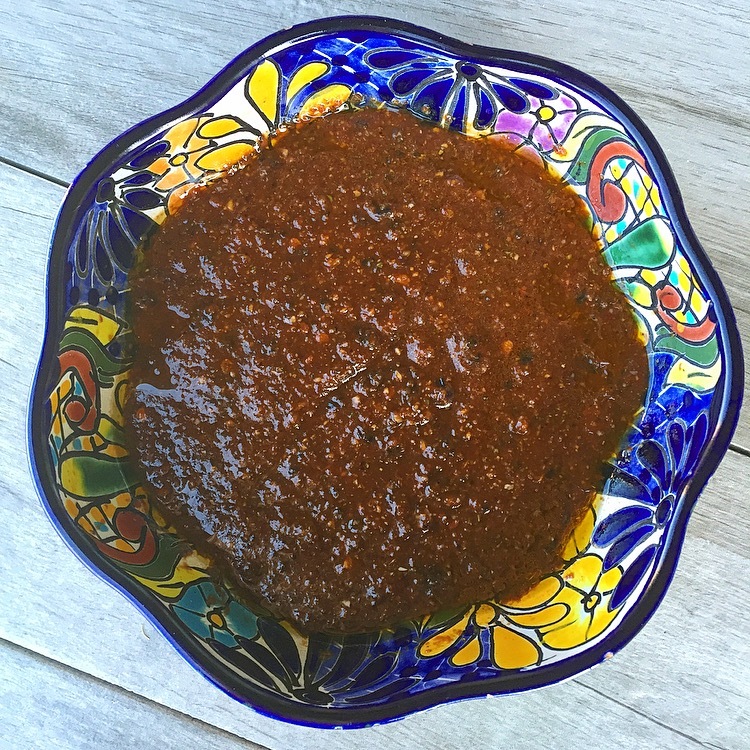 Place the toasted chiles, citrus juice, garlic, onion, chipotle chiles, spices, soy sauce and police oil in a food processor or blends and puree until it has the same texture of salsa. 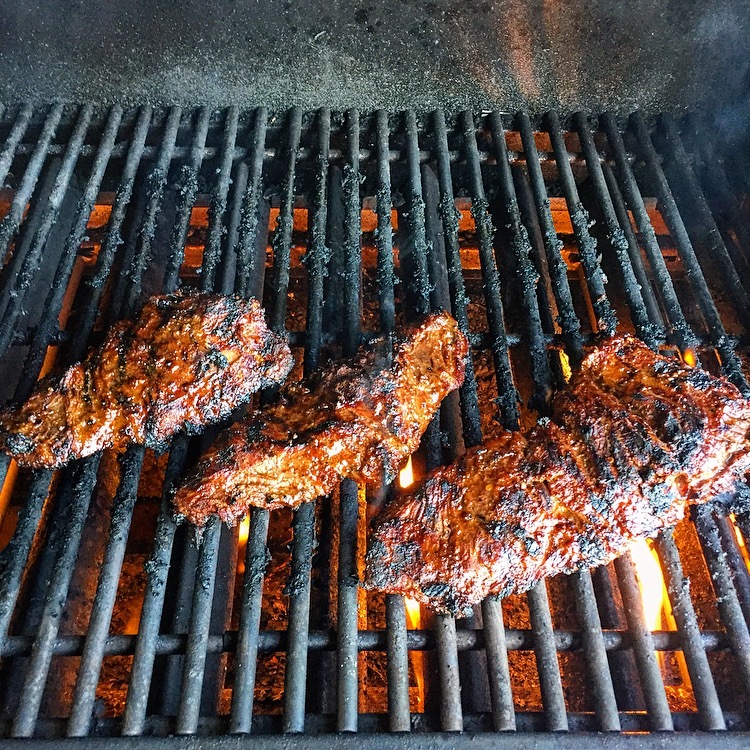 Place the flap steak and marinade in a large zip top bag and marinate for at least 6 hours. Meanwhile make the Green Houston Style Salsa. I’m calling this “Quick”Houston Style because I’m using 2 cans of Herdez Salsa Verde instead of fresh or canned tomatillos. I always keep this salsa verde in my pantry because it’s just that good and has no artificial ingredients. Place all of the above ingredients in a blender and puree until smooth. Cover tightly with plastic wrap and refrigerate for at least one hour. One hour before grilling the meat remove the steak from the refrigerator and allow it to come to room temperature. Once internal prefections is reached promptly transfer the Carne Asada to a platter and cover tightly with foil. Allow the meat to rest for at least 15-20 minutes so the juices can redistribute. Once the meat has rested slice into thin strips making sure to cup against the grain. Serve on warm Corn Tortillas with the Houston Style Salsa, minced white onion, lime, and queso fresco. 😊 Thanks!! Oh cilantro is a taco must have for me with just a little onion and lime. I use Herdez salsas for just about everything too. It really is the best stuff ever!! OK Melody. I’m on this!! I also have troubles coming up with tender beef, but this looks delicious enough to give it a try! And the sauce!! 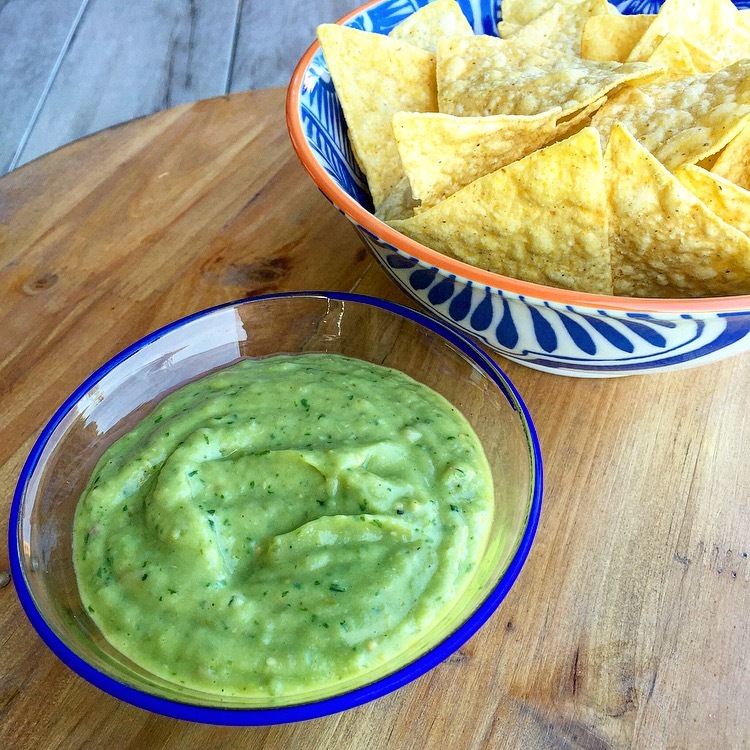 I used that Hedrez salsa verde in lots of things–great flavor. So this looks like the best!! I don’t know why making good grilled Mexican Beef has always been so difficult. 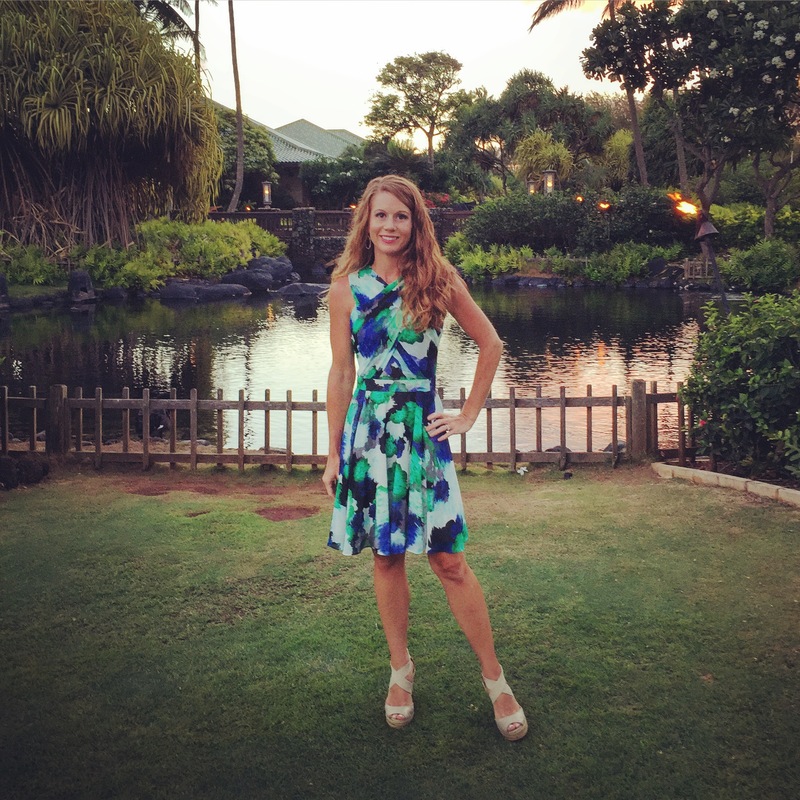 It was just always one of those thing I would leave to the restaurants. 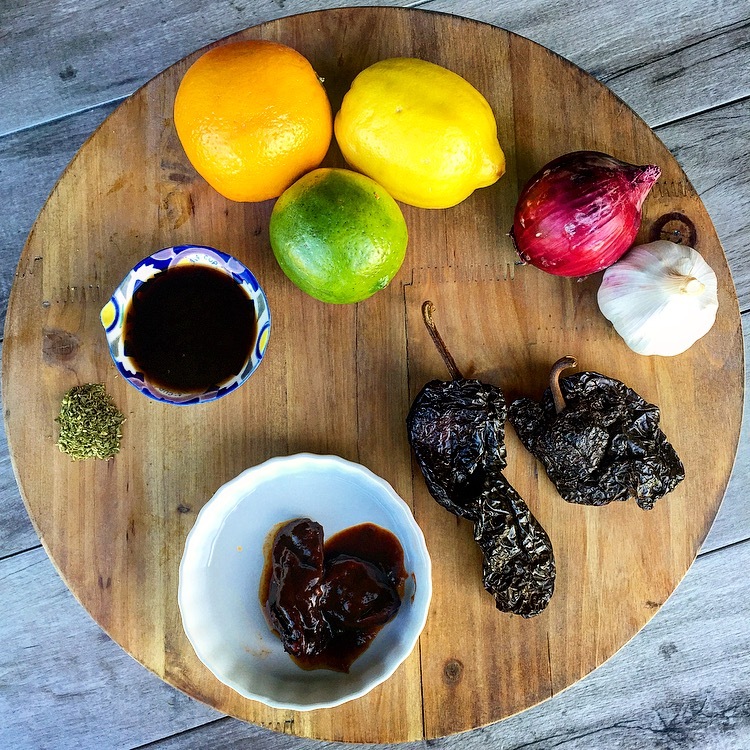 Until now.. It’s all the citrus juice in the marinade that makes the meat very tender and juicy. I even made a salad the next day with the leftover meat and used the green Houston Salsa as the dressing and it was so good!